Designers are looking for the next top models to showcase there work on the runway. 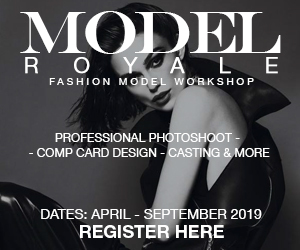 At an affordable price, Learn from our top experts in the industry on how to professional Walk on the Runway and pose for that signature shot. All Ages are accepted for both men & Women. WOMEN – Wear Fitted Skinny Blue Jeans and Fitted Plain White T-Shirt Top with Minimum 3-inch Stiletto Heels. MALE – Wear Fitted Skinny Blue Jeans and Fitted Plain White T-Shirt Top with Dress Shoe. Please arrive at least 10-20 Minutes earlier to set up and get Ready. Refunds are only available 24 hours before the event dates, No shows to the event will not be refunded. Yes, Please present your ticket confirmation either via the Eventbrite app or paper print out. The person attending the event must bring the paper print out in order to enter the event.